As the 2015 holiday season kicks off, Pathway Insurance Group is asking everyone to remember the little guys. Thanksgiving Day is a wonderful time to focus on family and togetherness. But far too often, those moments of community are outshined by a rush to big box stores for door-busting deals on Black Friday, or even impersonal shopping across the Internet on Cyber Monday. Fortunately, awareness and support is growing for Small Business Saturday—the Saturday after Thanksgiving Day, organized to drive shoppers to local merchants. 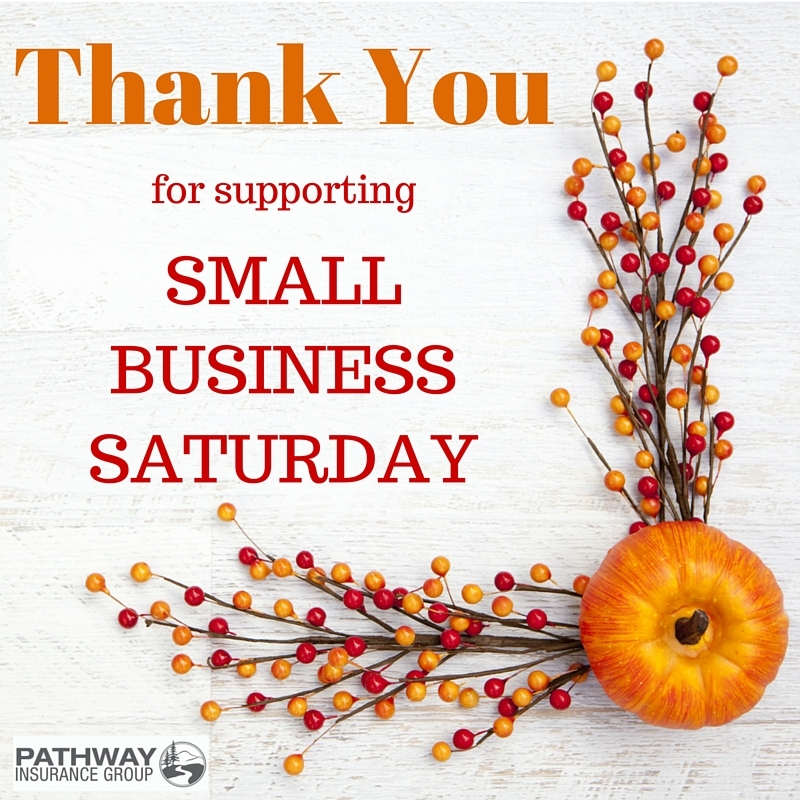 According to a MarketWatch article, Small Business Saturday Results: Independent Businesses Make Strong Statement to Start the Holiday Shopping Season, ‘88 million consumers (or one-in-four Americans) shopped at small businesses on Small Business Saturday 2014,’ which resulted in $14.3 billion being spent at independent retailers and local service businesses. Because Pathway Insurance Group is independent from any insurance firm—we work for you. Our expert team of agents navigate the complex insurance industry to create customized solutions for you. We guide you in selecting the most appropriate option from a wide range of choices, in each area of coverage you need. And, Pathway Insurance Group is in the risk management business. We take a strategic approach to protecting local businesses with commercial insurance. Our agents will search, evaluate and set in motion a comprehensive coverage plan, designed to be flexible and competitive. Contact Pathway Insurance Group, and do business with a local company you can trust.